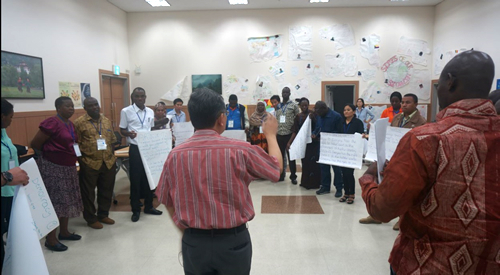 On 21-22 August 2017, Jeff Plantilla facilitated a session on human rights in relation to Global Citizenship Education (GCED) during the 2017 UNESCO/KOICA Joint Fellowship Programme held by APCEIU in Korea. 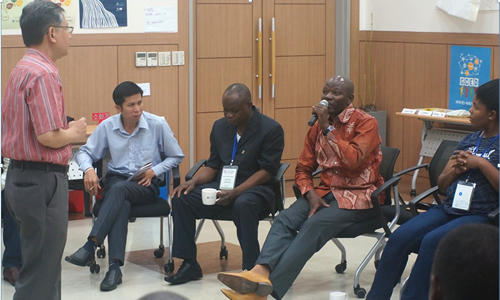 The Fellowship Programme has 25 participants, mainly from 14 African countries. 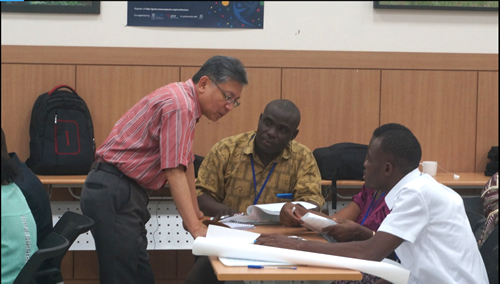 The other participants are from Afghanistan, Bhutan and Vanuatu. The participation of Jeff in the fellowship sessions is part of the online course on GCED that APCEIU has been preparing to launch in the near future. 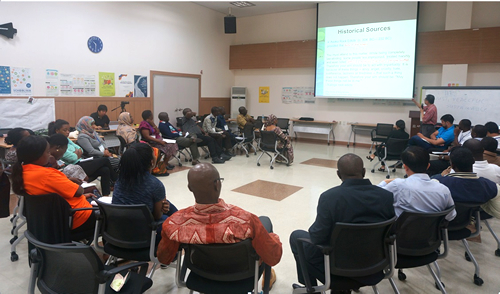 The session on human rights dealt with a discussion on the historical sources of ideas that are now part of the international human rights standards. Old materials such as those from 300 BC (Cyrus Cylinder, Ashoka Rock Edicts), 12th to 13th century (Charter of Kurukan Fuga, Saadi’s poem), 16th century (Le Code), late 19th century and the 1920s (including the Suiheisha Declaration) were used to explain how human rights ideas existed outside Europe and America. The participant from Afghanistan read in Arabic the 13th century poem of Saadi of Persia (Shiraz, Iran) that speaks of humans being the same, and are concerned for each other. Part of the session was an exercise on explaining the translation of the words “human rights” into national languages (especially those in Africa). All participants provided the terms on human rights in their own languages. 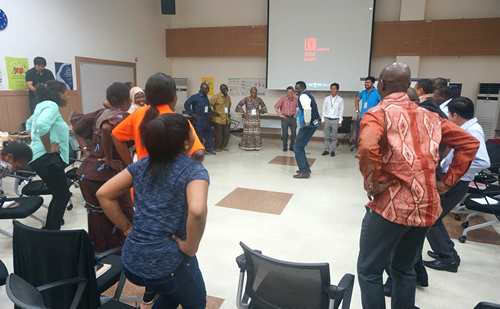 The Universal Declaration of Human Rights was the subject of group work, with a short presentation on how it could be understood or remembered more easily by educators. On 22 August 2017, the APCEIU staff videotaped Jeff’s self-introduction and his short description of the contents of each (10 minutes each) of the three courses for the GCED online courses. The videotaping was done inside the GCED Hall of APCEIU. The videos will be used in APCEIU's online course on 'Human rights in the context of GCED’.